Wakeup! Sydney Central represents all that Sydney has to offer. It's modern, it's clean and itâ€™s the hub of backpacker activity, right in the heart of Sydney. With a fresh layout, friendly staff and funky activities, WakeUp is the backpacker place to be! Weâ€™re located opposite Central Station and this is also the first shuttle bus stop from the airport. Weâ€™re within walking distance of some of Sydney's main attractions; a few minutes from Chinatown, a 15-minute stroll from Darling Harbour and Sydney Aquarium, 20 minutes from Sydney Sky Tower and a 30-minute walk from the Opera House, Harbour Bridge and Circular Quay. Talk about convenient! Mondays we have a free city orientation tour with one of our knowledgeable team, taking in China Town, Circular Quay, the Botanic Gardens and more! Tuesdays thereâ€™s Trivia Madness with bar tabs, prizes and a lot of laughs. Wednesdays we put on a free beach tour, taking you from Coogee to Bondi along Sydney's spectacular coastline. Fridays are for our free city orientation tour...we can't have you getting lost just because you weren't here on Monday! And all week you can enjoy cheap meals, drink specials, bands, DJs and great times at Sydney's best and busiest backpacker bar, the Side Bar! Our hostel offers more than just accommodation - we offer a defining era of your travels. 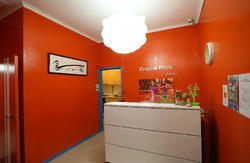 We have mixed or all-female dormitory-style accommodation as well as private rooms with and without en suite. Whether youâ€™re a budget-conscious traveller or youâ€™re after a little luxury, we've got you covered. Our Travel And Information desk has all the essential information and advice on finding jobs and the like, as well as being able to book you on tours - we really are your one-stop-shop! We have 24-hour reception, 24-hour internet access, a cafÃ© and a restaurant. We also have our very own licensed bar - Side Bar - famous for outrageous parties! So come and experience what it's really like to Wakeup! with someone new! Please note that unfortunately we donâ€™t have facilities suitable for children. Wake Up! 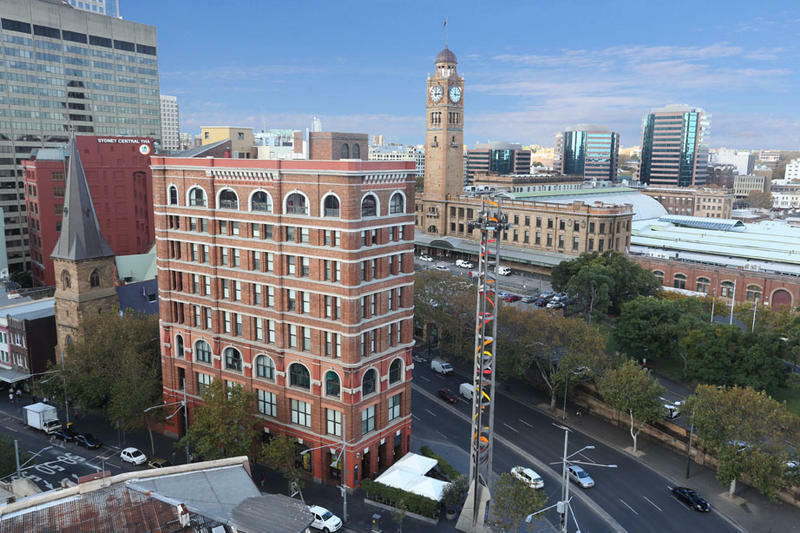 Sydney Central is at 509 Pitt Street, corner of Pitt and George Streets Sydney. It's directly opposite Central Railway Station - the major transport hub for airport links, interstate coaches and local buses and trains. From Sydney Airport - catch a KST Shuttle bus from outside the arrivals gate - cost is $14 and they will drop you right at our front door. Alternatively you can catch a train to Central Station and walk across the road to Wakeup! The cost is $14. You can also catch a taxi which will cost between $25 and $30. From Central Station/Bus Terminal just walk across the road on Pitt Street and you will find us.